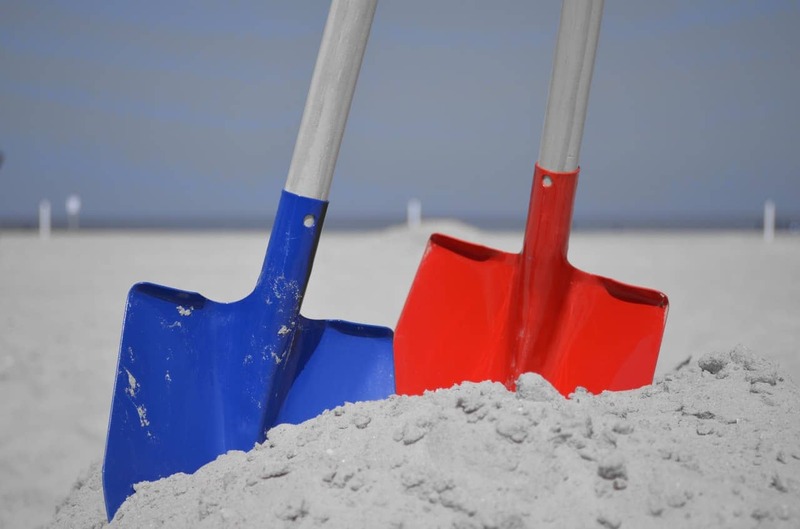 The shovel is one of the necessary hand tools used in different tasks such as construction, gardening, cleaning and, in general, to excavate or move materials from one place to another. The traditional shovel consists of a sheet of metal or other resistant material attached to a cylindrical handle as long as to take it with both hands and rest it on one of the knees, as a lever, which facilitates the task of lifting small amounts of material. By the way, this is the basic concept of leverage applied to human work. A shovel consists of two parts: the plate at the lower end, usually metallic, rectangular and slightly concave, and the handle or end to operate it. The shape of the sheet metal as well as specific characteristics of the handle depends on the task at hand. With a foot resting on the upper edge of the metal plate pushed down to achieve the excavation. With both arms, the tool is lifted to remove the soil using the plate as a container. 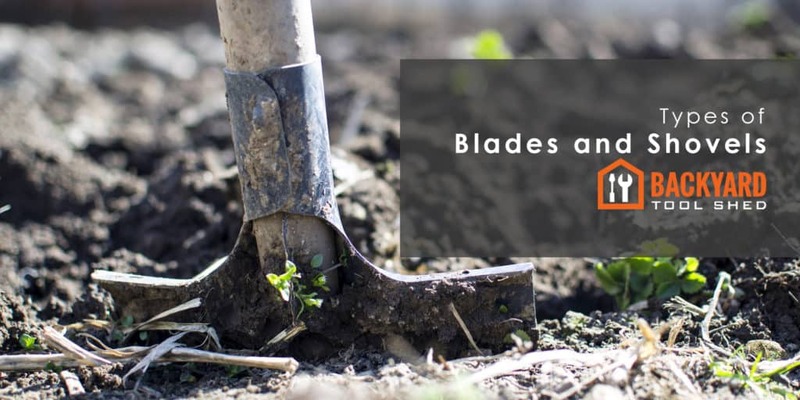 There are several types of blades, which are described below. The flat blades are generally used to move materials from one side to the other. When we want to make a well in the ground, we will use another type of shovel, called an agricultural shovel which usually has an edge. It is handy when we run into a root. Agricultural Shovels: the shovels for earthwork have a plate with a rounded ending and a little pointed (like a sharp edge) to facilitate the excavation task. In some cases, the lower part is flat to mark furrows in the ground and to delimit the space to excavate. The metal piece has a flat top edge to exert a force towards the bottom with the foot. The end of its handle can be in "T" which helps to push down with the hand and arm, or also triangular. In all cases, both the handle and its end are made of cylindrical wood. Shovels for Gardening: some small shovels are used for domestic work in the garden. Its metal element is narrow and pointed, and its handle very short, as if to be held with one hand. These shovels are very useful for digging small holes in the ground in the task of introducing seeds or transplanting flowers or other species. Shovels for Construction: Shovels for moving building materials such as cement, stone, sand, usually have a longer handle and a more pronounced concavity in the lower plate, as wide as to cover a larger surface. It makes it easier to load small amounts of material and then dump them onto a wheelbarrow or the box of a truck for transport. Toilet Blades: these are small, generally plastic, blades with a square end and perpendicular to the handle. They serve to collect waste, dust and other debris that were previously accumulated with the use of a collector. Oven Blades: these are blades with a flat, wide plate and a very long handle. They are indispensable tools for removing food from large ovens without running the risk of burns. Its components are from the wood, a material that does not transmit heat. Mechanical shovels: mechanical shovels or loaders represent the motorized version of this concept. By assembling a large container in front of a tractor, it is possible to move large quantities of material, both for agricultural and construction tasks.